Once a place that attracted many pilgrims, the temple continues to draw many people from all over the world. Kiyomizu-dera Temple (Kiyomizudera) is one of the top places to visit in Kyoto, and it was added to the list of UNESCO world heritage sites in 1994. 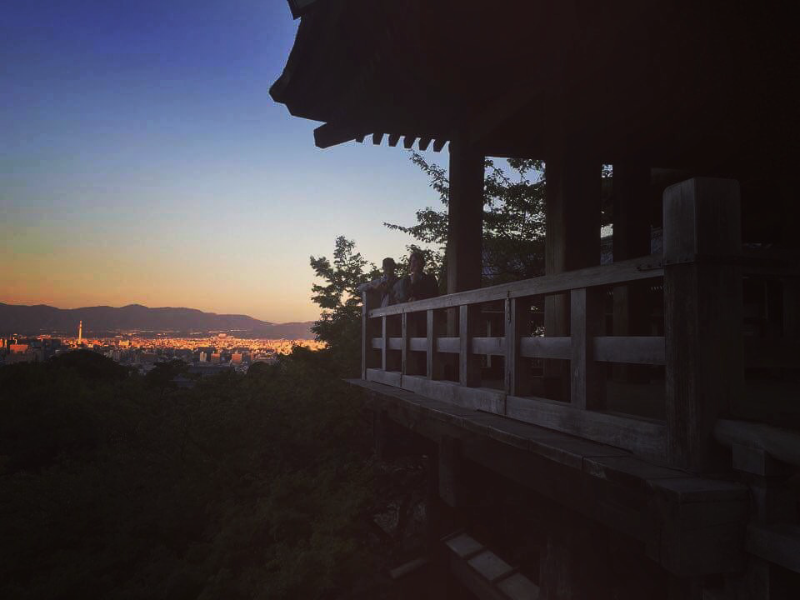 It is a location where you can feel the history of Kyoto in the air and overlook the incredible view of the city. The temple was founded in the 8th century and was rebuilt to its present structure in the 17th century. 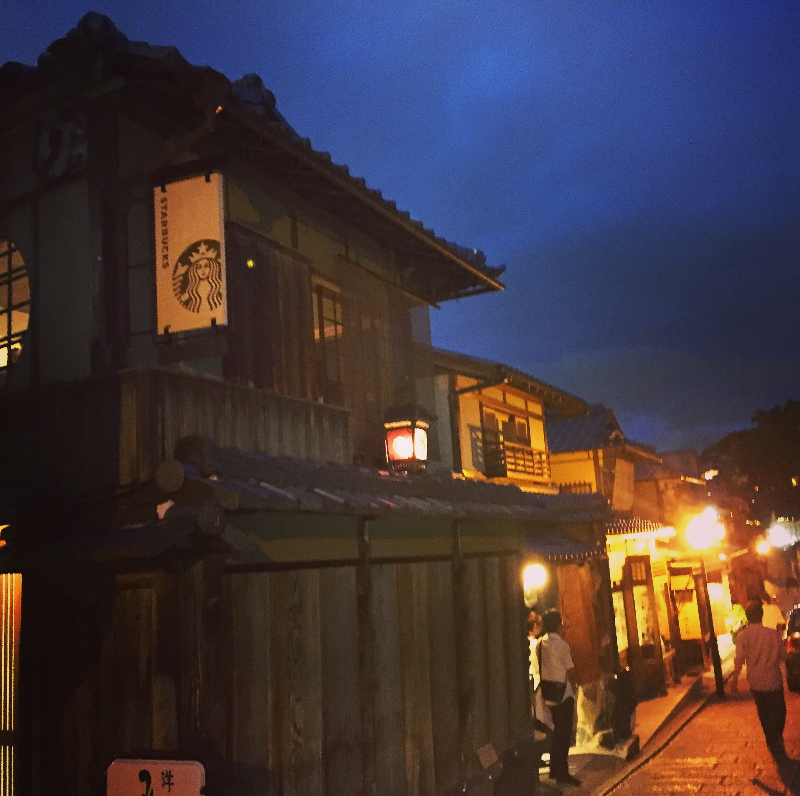 Within the premises, you will find a shrine for good relationships and also several resting spots where you can try green tea and Japanese treats. We recommend that you plan to stay for at least an hour inside the temple to fully appreciate its presence! Check out the side view of Kiyomizu-dera Temple! After you walk through the main hall, or the stage, you will be walking through a pathway on the side of the main sanctuary. Enjoy the incredible view of the city as well as the side view of the stage. This area is an ideal picture taking spot! During the Edo period, people would jump off of the 13 meter high stage with the belief that if survived, one’s wish would be granted. Out of the 234 people who jumped, 85.4 % survived. Though before you go and jump of the stage you should note that there used to be trees under the stage and the ground is said to have been softer than it is now, so we do not recommend you jump off it. On your way back down after going through the main sanctuary, you will find Otowa-no-taki, a waterfall that has been continuously streaming for thousands of years. The meaning of the name, "Kiyomizu," originates from the pure water that runs in the area, Kiyomizu meaning just that: pure water. Go ahead and participate in cleansing your soul with this streaming pure water. Look for these Ojizo-sama statues. Located within premises of Kiyomizu-dera Temple, the statues are located off the path from the entrance. Ojizo-sama statues are often spotted across Japan and are considered to be guardians of children. Usually the statues are of children who died before their parents. The bibs are placed to protect them in their afterlife. Taking pictures from the main sanctuary, or the stage, is prohibited. At the main sanctuary, you will encounter an area where sticks of incense are placed. If you want to offer a stick of incense to this altar, put ￥10 in a box and then after lighting the stick place it next to the others sticks of incense. 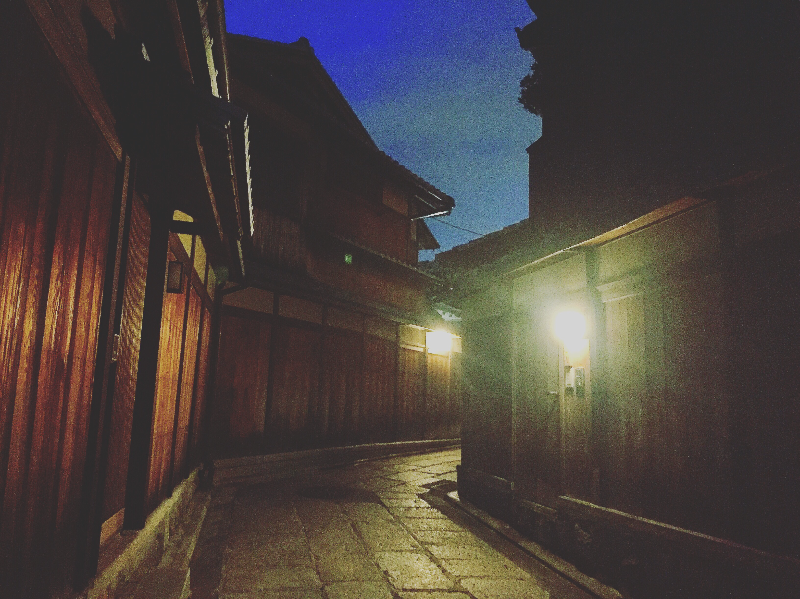 Kiomizu-dera Temple is one of the most famous sightseeing spots of Kyoto. The stage of the temple is the same height as a four-floor building so you can see all of Kyoto! There are many souvenir shops by the temple so even walking the road to the temple is fun. The famous sightseeing spot Kiyomizu-dera Temple. There are many people here and it is a bit far, but if you have not been here before you should definitely visit Kiyomizu-dera at least once. The view from Kiyomizu-dera's stage is extraordinary. 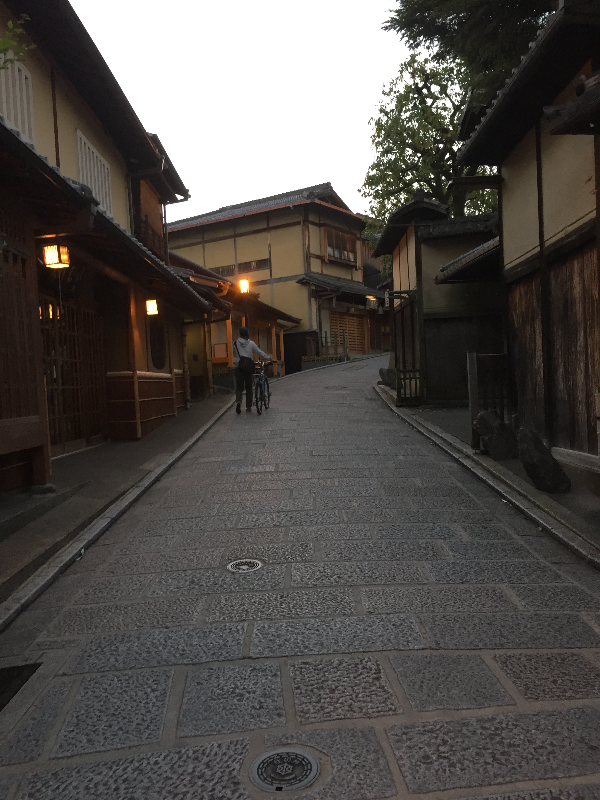 There are souvenir shops and restaurants on the way to the temple so the area around the temple is really fun too! Take a look at their website for the event schedules. Occasionally, the temple reopens at night for light-up events.